Homecraft® Inc. draws on its 30 years of successful experience providing homeowners with quality roofing, siding, replacement windows, doors, and gutters. You can count on us to be your source for home improvement services in Avondale PA. We also service homeowners throughout communities in Delaware, Maryland, New Jersey, and Pennsylvania, using only brand name materials highlighted by exceptional customer service. With top-quality craftsmanship, materials and products built to perform, you can feel good about our personalized attention, especially for homeowners living in the small borough of Avondale. Although your community spans only .5 square miles with a population of about 1,300, it’s big on heart, history and charm. This Chester County town is somewhere where everyone knows your name. That’s the kind of town we like to work in! 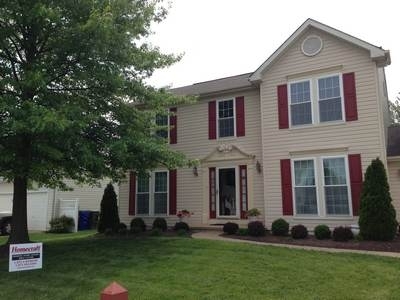 When you call our talented team to transform your home into the one of your dreams, you get a company built on dependability, reliability and true dedication to the craft, resulting in unmatched value in roofing in Avondale PA.
For the highest quality replacement windows money can buy, our skilled team can install and fit your new windows as part of anything from your living room to sunroom. We give our Avondale PA homeowners a wide selection of either Homecraft® vinyl replacement windows, or Andersen® wood replacement windows. Your choice. Yes, you get superior performance, but you also receive guaranteed energy savings and decades of reliable service from your new windows. It’s time to improve your curb appeal and cut energy costs at the same time. The doors on your home should provide an open welcome for family and visitors alike. For new doors in Avondale PA your best choice is Homecraft® Inc. We can design a brand new entryway with a rugged, durable entry door; replace a balky old patio door with a smooth-operating new sliding door; add a weather-resistant storm door to protect your home; or even replacing your rickety old garage door with a beautiful new automatic door. 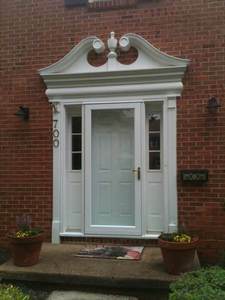 It’s no wonder we are among the leading door companies in Avondale PA! Unlike lots of other siding contractors who claim to give you options, we actually do. With a wide variety of siding materials, textures, styles and colors at your fingertips, we give you the best value in Avondale PA. It’s easy: browse through our inventory to choose the traditional look of cedar shake siding to match the look and décor of your frame-built or Cape Cod home, or perhaps go with a quality vinyl siding for a whole new look that doesn’t take much upkeep. 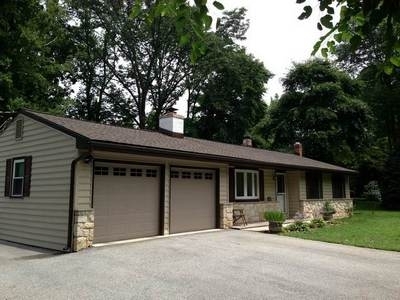 From cedar shake siding to vinyl siding in Avondale PA, Homecraft® Inc. has your home covered. As a GAF MasterElite™ roofing contractor, we guarantee the highest quality roofing systems thanks to the industry-leading “Golden Pledge™” warranty protection. Your roof should shield your house and your family from all types of weather, which is why you need a strong, dependable Avondale PA roofing system that lasts. Do what the rest of your neighbors are doing: trust Homecraft® Inc. for roof repairs and new roofing. A good roof and a solid gutter system both make the perfect solution for any home. Without this complementary pair, you can experience flooding and ice dams. Avondale PA homeowners should invest in high-quality gutter systems courtesy of Homecraft® Inc. They are designed to handle anything from rain and snow to wind and ice, all while efficiently managing the flow of rain water so it doesn’t pool around the foundation. Expertly installed on your home in Avondale PA, gutters from Homecraft® Inc. will give you peace of mind in all forms of weather. Making an investment in your home is a continuous process. Whether you want to add on a room, a garage or a loft, Homecraft® Inc. is here to help. Lean on our skilled and experienced team of professionals to give you the ideas, designs, and top quality installation you need for all your home improvement projects and repairs. We strive for 100% customer satisfaction, guaranteed, plus we provide a variety of services: replace worn parts, repair damage, and make smart home improvements on Avondale PA homes. 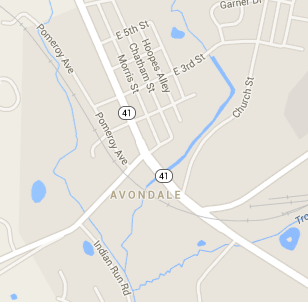 FREE Estimates on Avondale PA Home Improvement, Windows, Doors, Siding or Roofing. Call Homecraft®, Inc., today at 1-877-494-0377 to schedule a FREE in-home consultation and estimate for your Avondale PA home improvement project, roofing, siding, replacement windows, doors, or gutters. 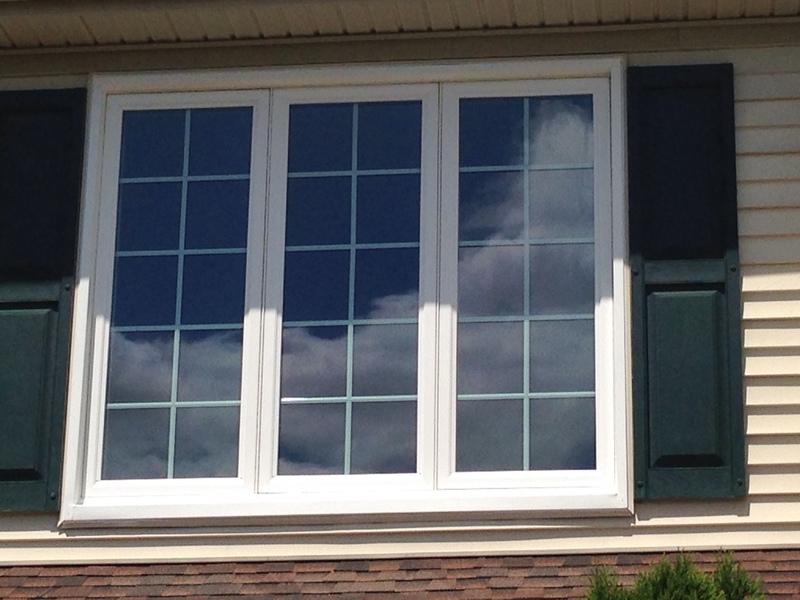 A Vinyl Picture Window with two Casement Flankers recently installed by Homecraft, Inc.